Climactic: ShareWaste - "Creating value, and friendships, from kitchen waste"
This week Climactic is happy to have the founders of ShareWaste, an amazing app that's connecting and creating communities through the simple act of sharing organic waste. We all produce it, it's our kitchen scraps, our yard clippings, our garden waste. And, in proving that "one's trash is another's treasure" what may be waste to us, may be gold to others. Australia, just like many other countries, but especially on our arid continent, has a serious organic material shortage, especially in our soil. ShareWaste is a huge ally to composters, worm farmers, and farmers, and a great timesaver and tool for consumers. The 'consumer' title, it's OK to hate it, yet it's an accurate title for the majority of us. Through a free app, the power of the commons, and an amazing community Eli has fostered, ShareWaste can help anyone, anywhere, remove some of the negative taint of modern consumption. We were so chuffed to bring you this story from Tom and Eli, and can't wait to feature more stories from the ShareWaste community. And we have one in this episode as well, so you won't have to wait long! Andrew is a host on ShareWaste, in fact, he was the first host Mark connected with through the site. Andrew's story is likely echoed across the community and the 10,000+ users, and it's a great one. Through leveraging ShareWaste, the community garden Andrew has taken the lead on maintaining and rehabiliting has helped dozens of South Melbourne dwellers bury their bokashi, a vital service. We hope you enjoy this episode, and if you'd like to hear more stories from the ShareWaste community please let us know! 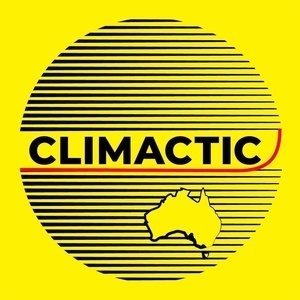 Drop us a line at hello@climactic.fm! --Music from Chris Zabriskie, used under Creative Commons 4.0 license. ShareWaste - Give your waste a second chance! — We connect people who wish to recycle their kitchen scraps with their neighbours who are already composting, worm-farming or keep chickens. Now you can divert waste from landfill while getting to know the people around you! Foundry Park Gardens (@foundrygardens) • Instagram photos and videos — A public garden in South Melbourne. Landcare Australia Rescue | Kind acts of environmental rescue — Contribute your story to this new project from our Senior Advisor, Gretchen Miller! Abigail Hawkins — Climactic's intrepid designer, Abigail Hawkins. Hire her, seriously. Chambres | Free Listening on SoundCloud — Chambres is Sydney based producer Gregorio Grassi, star composer of our theme.